Comfort food typically is different for everyone, yet experts say there’s a scientific basis as to how sweets can make the brain seem happier. All the neurotransmitters aside though, who can resist a serving of sweets on any day? Like any other place, Singapore has developed many varieties of one dessert, and the Kueh is no exception. Let’s take first two kinds of Kueh on this list. First is the Ondeh-Ondeh which is made of pandan filled with palm sugar which leaves your mouth with sweet flavor in every bite. 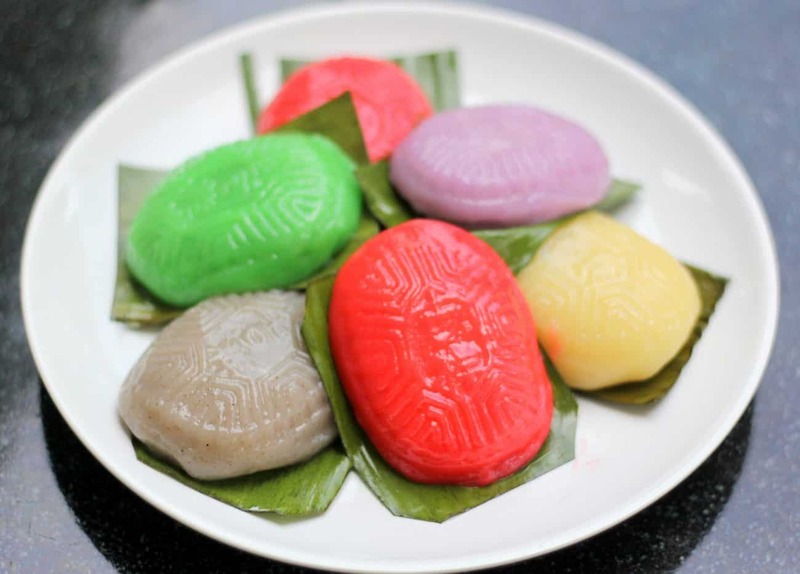 The Ang Ku Kueh on the other hand is made of glutinous rice flour stuffed with mung beans or peanuts. One thing is common for both: they’re irresistible to the sweet tooth. Since Singapore is typically warm almost all year round, desserts served cold always make the hall of fame. This treat is made from shaved ice smoothened with flavored syrup and textured with various toppings. Not only is this sweet, it’s more importantly cooling to the taste. Since we’re on the topic of cold, here’s another dessert sure to provide respite amidst the Singapore sun. This treat is made from a plant originating from the mint family. It is first boiled then cooled to its smooth consistency – that of a jelly. Normally served with shaved ice, it also comes great with lime. Let’s lower the temperature some more with yet another cool dessert. 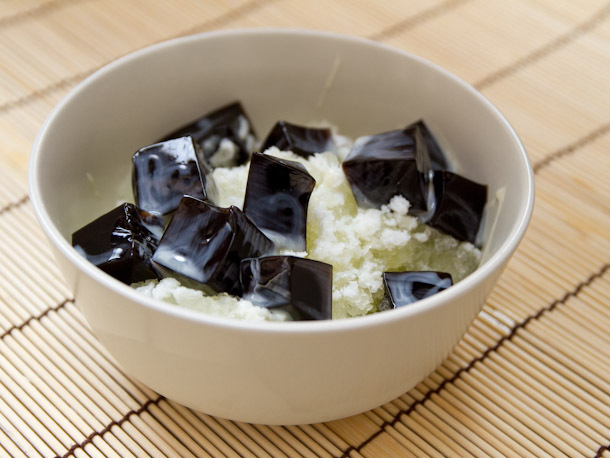 This treat is known as a clear sweet soup containing barley, sweet potato, longans and white fungus. The ingredients are branded for their cooling effect, such as dried persimmon and winter melon, so it’s not just the ice doing its trick. It’s all of them, actually. One more dessert on the cooler side of sweets is the Chendol. This is mainly made up of shaved ice, served with palm sugar, red beans, coconut milk and pandan jelly. The name ironically means green jelly worms and not the actual dessert, but most locals would still refer to the dessert when Chendol is mentioned. Let’s go back to room temperature and be delighted by this sweet treat that’s pleasing both to the palate and to the eyes. 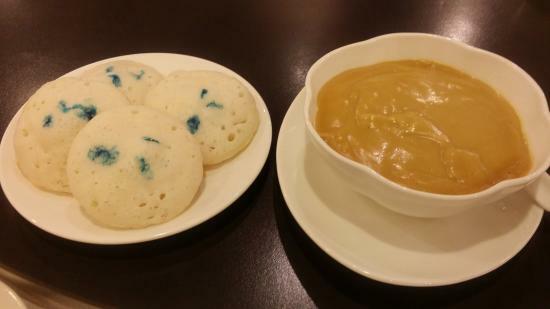 Mainly made from pancakes, Singapore’s version of this treat is made from fermented rice flour and coconut water. Oftentimes, banana sauce accompanies this treat. It also has stylish blue swirls derived from the juice of Bunga Telang flowers. Desserts provide the punctuation of every great meal. Some people even skip the main course altogether just to get their hands on the yummy sweets saved for after. No matter when you take them, before or after the meal, sweets leave that same feeling of happy – something we all need on a frequent basis.